The famous legends of King Arthur and his round table, among other ancient myths, were stories made up and peddled by enterprising monks at Glastonbury Abbey to make some cash, say researchers. What’s more, these legends muddied modern research into the site by “clouding the judgement” of past experts. These are the claims being made recently by a team archaeologists from the University of Reading in UK after a four year study. Archaeologists claim the Glastonbury monks clouded the history of the site by deliberately designing renovations after a fire in 1184. The redesign is said to have employed a purposeful archaic architectural style to generate a mythical feel, supporting popular legends and thereby raising more money from eager pilgrims. In addition, “Arthur’s supposed grave has been revealed as a cemetery pit containing material dating from between the 11th and 15th centuries, offering no evidential links to the era of the legendary 5th and 6th century leader,” reports Culture24. Recent archaeological studies , and reassessment of older projects at the abbey between 1904 and 1979, are now casting doubt on the previous historical assumptions of the site, and the myths surrounding it. Described as “one of the most romantic religious sites in England,” Glastonbury Abbey, the ruins of a monastery established in 712 AD, is the nexus of many ancient myths and historical events featuring prominent figures, such as legendary King Arthur and Queen Guinevere, the Christian Joseph of Arimathea, and England’s King Henry VIII. Glastonbury is popularly said to be the resting place of King Arthur, and nearby locations are connected to stories of the Holy Grail. Legend has it that it was founded by the venerated saint Joseph of Arimathea in the first century, and it is believed to be the site of the earliest church in Britain. 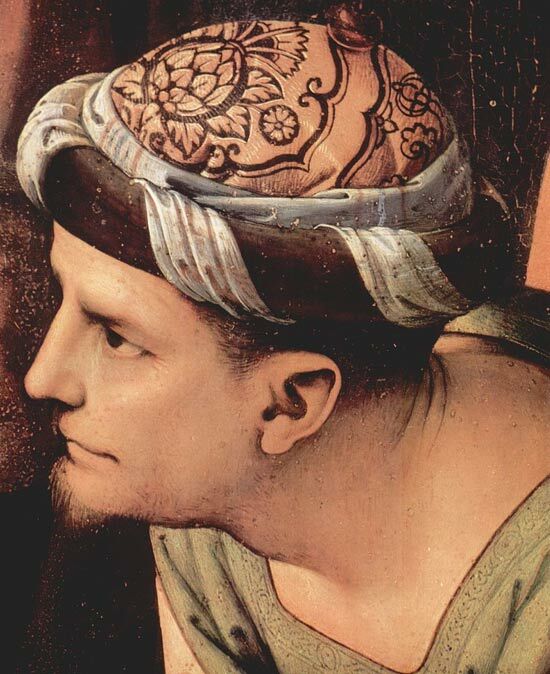 12 th century writings connect Joseph with the Holy Grail, with him bringing it to Britain from the Holy Land in Robert de Boron's Joseph d'Arimathie. Other tales say that the church was built by Jesus himself to honor his mother, Mary. One widespread story involving the “holy thorn” has originated from the area. In that legend, on the spot where Joseph of Arimathea came to Glastonbury, he pierced the earth with his staff (in some versions made from the wood of the crucifixion cross), and a hawthorn tree sprouted there. This, the “ Glastonbury Thorn ” stood on Wearyall Hill and was said to bloom twice a year (unlike other hawthorn trees which bloom only once a year). It was said to bloom every Christmas day for 2,000 years (until vandals cut it down in 2010, causing much grief and outrage, local and international). Hawthorn trees have been propagated by grafting in and around Glastonbury many times in order to preserve it. The site suffered a devastating fire in 1184. It was rebuilt, and had become one of the richest and most influential monasteries in England by the 14 th century. This power did not go unchallenged long. The Dissolution of the Monasteries under King Henry VIII dismantled the church, taking their money and land. Richard Whiting, the last abbot of the Glastonbury Abbey was viciously killed by hanging, then drawn and quartered as a traitor to the crown at Glastonbury Tor in 1539. Citing a lack of physical evidence to prove the historical legends, the team of 31 specialists led by Roberta Gilchrist, professor of archaeology at the University of Reading and now a trustee of Glastonbury, “found that generations of her predecessors working at the abbey were so bewitched by the legends that they either suppressed or misinterpreted evidence that did not fit,” reports The Guardian. 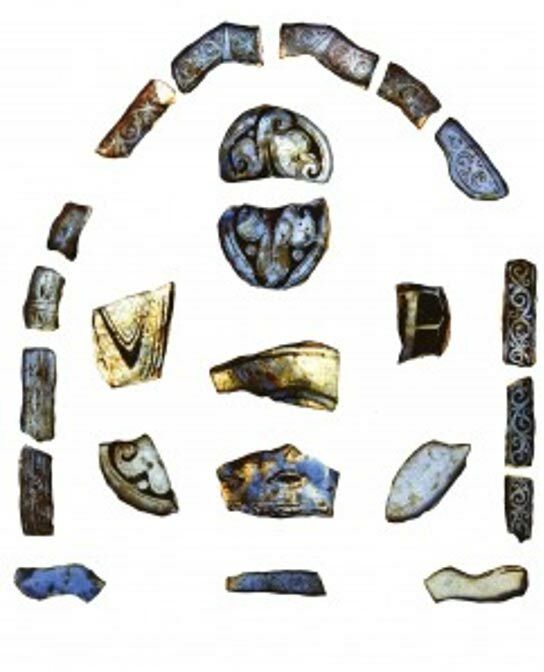 The archaeologists uncovered several surprising finds, including: a previously unknown prehistoric settlement of Romans and Saxons, predating the earliest monastery; A glass-working complex which has been radiocarbon dated to approximately 700 AD, making it the earliest evidence for glass-working in Saxon England; and it was found wine was imported from the continent to the site at an even earlier date, as shown by ceramic fragments. This raises the idea that the chronicles of King Arthur and other legends during the Dark Ages may not be untrue simply because they cannot be proven through pottery sherds or skeletal remains. It may be possible that the ancient scribes poorly documented a real king or man, or an ancient history, either purposefully or accidentally, and these stories endured. Could modern interpretations of legends now be clouding the ancient past? 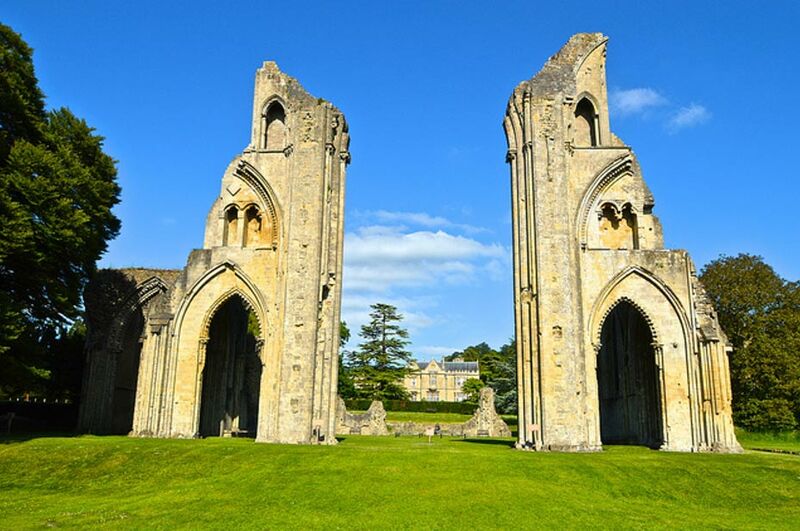 The ancient myths that have resonated through time will not be so easily vanquished, if the continuing popularity of Glastonbury Abbey is any judge. And while researchers might point to the empty burial site of the mythical King Arthur as an absence of evidence, more important perhaps are the insights that come from the social history of the period gleaned from these legends. The findings of the researchers are reportedly going to be added “gently” to the new Glastonbury guidebook so as to remain sensitive to legend. The Vietnamese story of King Arthur is intriguing. It seems to show the legend spread worldwide. The Vietnamese story differs substantially in many details but it retains the part where the Sword returns to the Lake, which in Vietnam is Hoàn Kiếm Lake. Very interesting! Thanks for the comment. Just like all the stories about Jesus, and God, they are all fantastical tales made up by man to control, deceive and enrich those telling the tale. Just look at how rich and powerful the Catholick Crutch is today. All the gold, the jewels, the lavish living. So much for a "simple" way of life eh Pontiff? All that wealth was amassed by acts that weren't justified. The Religious Wrong ignore the Crusades, yet they are repeating them today. Churches fleece the "flock" with empty promises and keep those struggling even further down the line. Religion is the root cause for the ALL the problems the world is facing. Religion is the reason for wars. Religion is the reason for the denial of rights. Religion is the reason people deny the rapid Climate Change is caused by man. Religion is the reason why humans can't get along with their fellow human. Religion doesn't bring people together, it segregates and divides. Religion is NOT inclusive, it is very exclusive. Religions are intolerant of questions, dissent, and change. a round table, 12 knights, 960 enemies killed which is divisible by 12, the last knight being a betrayer, aka judas iscariot. it's another story with the same astronomical numbers to track the movement of the sun and constellations. just like lots of the books in the bible and other myths. the middle east had lots of them and so the monks decided for a British version.